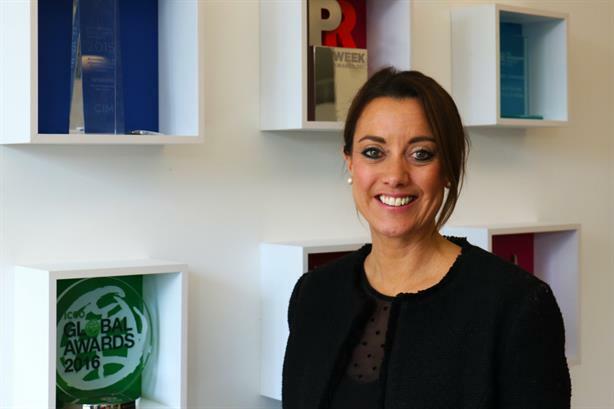 Former Cirkle MD Ruth Allchurch is returning to Cohn & Wolfe (C&W) as managing director of its UK consumer brand practice. Allchurch, who left Cirkle last summer after more than three years at the agency, will report to C&W UK MD Rebecca Grant. Prior to Cirkle, Allchurch spent eight years at Diageo, leaving as head of brand PR for Western Europe. This is her second tenure at C&W, having worked at the WPP network agency as senior account director earlier in her career. Allchurch replaces Tom Malcolm, who has left the agency after almost two years to take over a family business in Cornwall. C&W said revenue in its consumer brand practice grew by 23 per cent in 2017. Its clients include Pfizer, Hotels.com, and Barclaycard; the agency’s Pay @ Pump campaign for the latter won the Financial Services Award at the 2017 PRWeek Awards. Grant said: "Our consumer brand practice is poised for another year of impressive growth and glory. She [Allchurch] is a fantastic hire – a powerhouse of energy, combined with a wealth of experience from her time both client-side and within agency, plus we have a shared passion for unrelenting client service excellence. I’m excited to see what 2018 has in store." Allchurch, who is also the chair of the PRCA Consumer Group, said: "I am thrilled to be joining Cohn & Wolfe. Not only do I have fond memories of working there a few moons ago when I cut my teeth on big FMCG, retail and consumer healthcare brands, but, in the past few years specifically, I have watched with great interest and admiration the stunning performance that Scott, Rebecca and the UK team have delivered within a challenging marketplace." C&W is number 18 in PRWeek's most recent UK Top 150 Consultancies table, generating UK revenue of an estimated £25m and employing around 260 people in 2016. Meanwhile, Cirkle has appointed Text100’s deputy managing director Ruth Kieran as its new MD. Separately, C&W's tech agency Axicom has announced a new brand identity.